Christopher M. Snider, CEPA, CEO, and President of the Exit Planning Institute, creator of the Value Acceleration Methodology, and Managing Partner of Snider Premier Growth is recognized as a thought leader and trendsetter in the field of value acceleration and exit planning. With a message that resonates with entrepreneurs across the country, Chris is a sought-after speaker for many major companies and trade industries and the associated organizations that are dedicated to serving the transition and growth needs of owners. 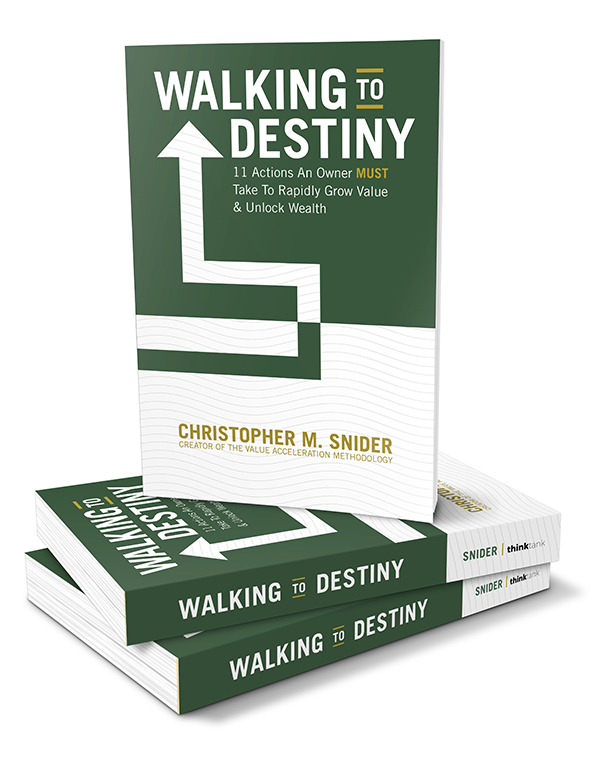 Get your copy of the critically acclaimed book on exit planning that created a paradigm shift in the way that business brokers, M&A advisors, and other business transfer professionals work with clients. 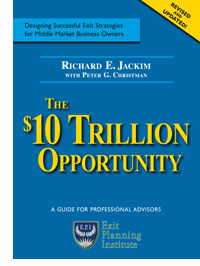 The $10 Trillion Opportunity is the most comprehensive guide to developing business transition or exit plans for business owners. 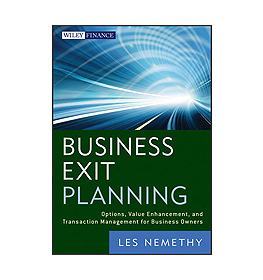 Written specifically for business advisors who work with the owners of privately-held businesses, this book provides valuable insights into the exit planning process and how to use exit planning to grow an advisor’s existing practice. 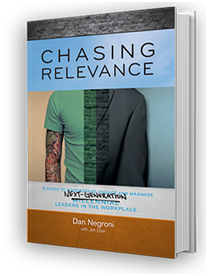 That’s what Chasing Relevance is about: being better leaders by guiding those millennials and letting them guide us, having everyone be their best self by caring enough to connect. The choice is clear: we need to care more about millennials by pushing ourselves to be better leaders, coaches, and mentors. Because we love them, we need them and we want them to succeed. It’s time to stop chasing relevance and make it happen. 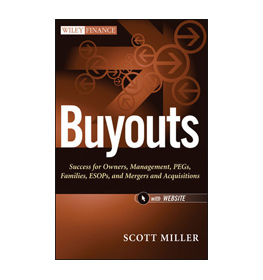 A must-have book for business owners, key employees, and their advisors who need to be aware of the full spectrum of succession options, Buyouts provides objectives, advice, steps, and a host of examples on the full spectrum of insider-led buyouts. A roadmap for CPAs, it presents the parameters for many of the major industry segments, techniques for managing risk, providing retention and performance incentives for key personnel and insights into getting deals financed. Transition planning is becoming a hot business topic as millions of business owners head into retirement. The fact is that only a limited number of privately held companies will be successfully sold to third parties. A roadmap for CPAs, Buyouts presents the parameters for many of the major industry segments, techniques for managing risk, providing retention and performance incentives for key personnel, as well as insights into getting deals financed. 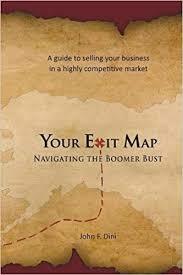 Fast paced, enjoyable to read and even more fun to look at, Your Exit Map: Navigating the Boomer Bustis a new kind of business book for the 21st century. Modern technology and the Internet combine to surpass the drab, text filled “drone tomes” that fill too many business owners’ shelves. Over 200 illustrations, photos, graphs and cartoons take the reader through the historical shifts that created a generation of Boomer entrepreneurs, and the equally powerful forces that are assembling to challenge their successful transitions. Humor and insight share each page, mixing entertainment with critical information for planning the biggest financial event of most entrepreneurs’ careers. This Exit & Succession Planning Workbook is designed to educate business owners and business advisors on the exit and succession planning process and provide a clear yet comprehensive pathway. It is written from the business owner’s perspective. 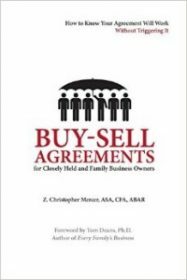 Whether you, as the business owner, would like to build and sell your business or perhaps transfer ownership to a family member, this workbook will guide you on the best options to ensure the best possible outcomes. While these books are not sold through the Exit Planning Institute, we recommend these books to any professional interested in learning more on topics in the exit planning ecosystem. Every family is different, and blended families — defined as those with children from previous marriages or couplings — can be even more difficult to plan for. When dealing with complicated family situations, cookie-cutter estate plans just don’t work. Estate planning can be difficult as the subject matter can seem complex for non-lawyers, and family members can be hesitant to clearly voice their opinions on touchy matters. However, planning the future of your family’s estate is crucial for the emotional and financial well-being and stability of all family members, and having everything in order will bring invaluable peace of mind. 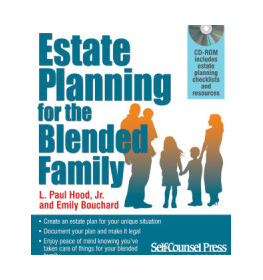 L. Paul Hood, Jr. is a frequent speaker and commentator on estate planning issues. He is widely quoted and his articles have been published in a number of journals, including CCH Journal of Practical Estate Planning, Estate Planning, Digest of Federal Tax Articles, Louisiana Bar Journal, and Tax Ideas. In addition to serving on the Louisiana Board of Tax Appeals, he was a sponsored speaker for distinguished law schools such as Duke, Georgetown, NYU, LSU, Tulane, and Loyola. Emily Bouchard, BA, MSSW, is the managing partner of Wealth Legacy Group and founder of Blended-Families, LLC, where expert coaches make a positive difference in the lives of stepfamilies and inheritors. She has been featured on The Today Show and NPR, is the author of several e-books, and speaks internationally on issues relating to blended families and the emotional impact of wealth. If you’re like most business owners, you started a company because you thought it would give you freedom—to do what you want, work on your own schedule, make the kind of money you deserve and eventually retire on the fruits of your labor. 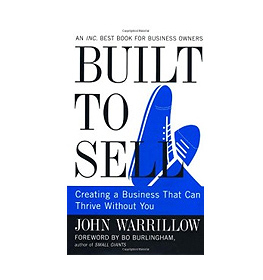 Unfortunately, according to John Warrillow, most owners find that stepping out of the picture is extremely difficult because they’ve built a business that relies too heavily on their personal involvement. Without them, their company—no matter how big or profitable—is essentially worthless. Luckily, there are steps you can take—no matter what stage your business is in—to create a valuable, sellable company that can grow and thrive without you. Regardless of whether a business owner seeks an immediate exit or a staged exit over time, Business Exit Planning provides a comprehensive strategy and roadmap to define exit-related objectives. 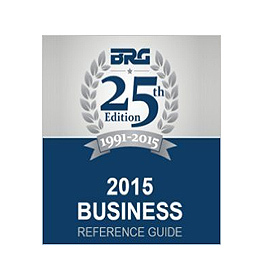 Now in its 25th year, the 2015 Business Reference Guide is the essential guide to pricing businesses. 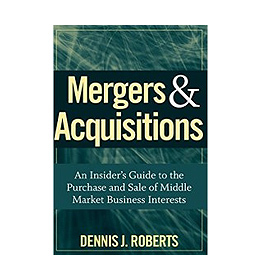 With up-to-date rules of thumb and pricing details on 700 types of businesses, this guide is a must-have for transaction brokers, accountants, attorneys, business appraisers, banks, business-lending institutions, professional advisors—anyone involved with privately owned business. Now available online, users enjoy all the data they depend on in the book with the additional benefit of keyword searching, personalized printing, continual updates throughout the year, and more! 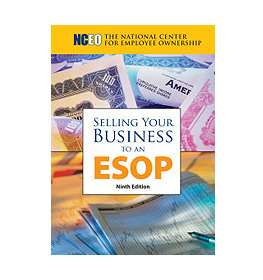 This book is filled with expert guidance that business owners, managers at all levels, investors, and students can use when determining the value of a business. 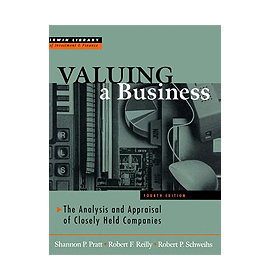 It contains a solid framework for valuation, including advice on analyzing historical performance, evaluating assets and income value, understanding a company’s financial statements, estimating the cost of capital, business valuation models, and how to apply those models to different types of businesses. 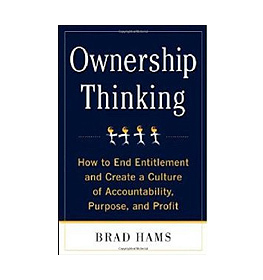 Co-authored by James Bates, MBA, CEPA a member of the Exit Planning Institute. 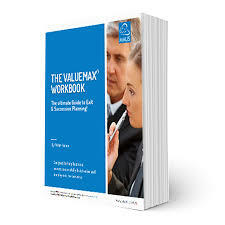 The Market Value Approach – Is must reading for any business advisor who performs or uses business valuations. The Market Approach to Valuing Businesses will show you how to successfully reach a fair and reasonable agreement on value. Whether you’re buying, selling, or valuing a business, the market approach is the most widely accepted method of determining the value of a business or partnership. 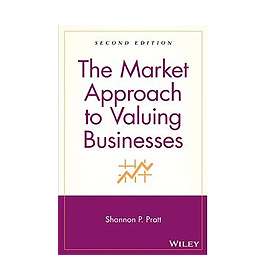 This book is another tremendous valuation resource written by Shannon Pratt, the grandfather of business valuation. Be sure to check out the workbook that accompanies this book. A classic that keeps getting better with each new edition. If you own, operate, or advise a middle market company, what does this mean for you and your clients when thinking about shareholder liquidity, selling or buying a business? And how can you improve the odds of getting a deal done? 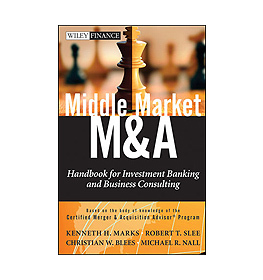 A vital tool for all business professionals interested in understanding mergers, acquisitions, exits and strategic transactions for middle market companies, Middle Market M&A: A Handbook for Investment Banking and Business Consulting is a must-read for investment bankers; M&A intermediaries and specialist; CPA’s and accountants; valuation experts; deal and transaction attorneys; wealth managers and investors; corporate development leaders; consultants and advisors; lenders; and CEOs, CFOs and board members. 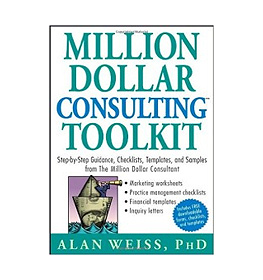 Million Dollar Consulting Tool Kit is perfect for business brokers and other deal people. This practical toolbox provides specific checklists, guidelines, templates, and actual examples for each and every step of the consulting process. It covers marketing, sales, meetings, implementation, follow-up, invoicing, practice management, insurance, equipment, subcontracting, and scores of other elements. It belongs in every professional advisor’s library. It’s an insidious disease that is crippling companies, destroying our economy, and crushing potential. It’s infecting the very roots of business performance, and it’s spreading fast. It isn’t the recession, market volatility, scandal, or greed. It’s entitlement. And it may be killing your business. The Right Education: Teach employees the fundamentals of business and finance, how their company makes money, and how they add or take away-value. The Right Measures: Identify the organization’s Key Performance Indicators and teach employees to forecast results in an environment of high visibility and accountability. The Right Incentives: Create incentive plans that are self-funding, and clearly align employees’ behavior to the organization’s business and financial objectives. 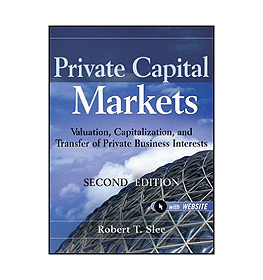 This theoretical and practical guide gives readers important insights into the workings of the private capital markets so that they can make sound investment and financing decisions. Allow you to sell some or all of your ownership stake while taking advantage of significant tax breaks for you and the company. Position the company for future growth, enhanced productivity and performance, while also rewarding the people that helped build the business. Provide you with the flexibility of maintaining an ongoing role in the business if desired. According to Stephen MR Covey, trust is one of the essential elements of business, and the ability to create, preserve and restore trust has become one of the most important skills today, inside and outside the office. 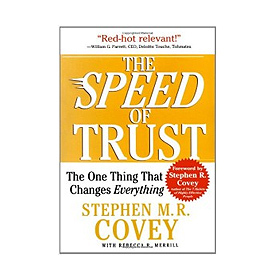 In the book The Speed of Trust, Covey gives readers all the key tools to cultivating trust in their relationships, while offering up the wisdom of other great business leaders on the topic. 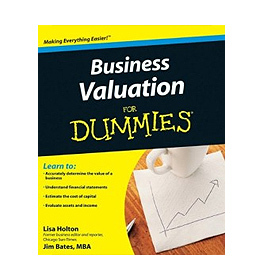 For nearly two decades, and through three previous editions, Valuing a Business has provided trusted, complete business valuation for experienced business valuation analysts, beginning analysts and students, and all professionals needing complete valuation information. 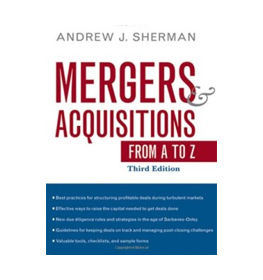 Its clear, concise explanations of valuation methods and conclusions have made it the classic text against which all other valuation books are measured. 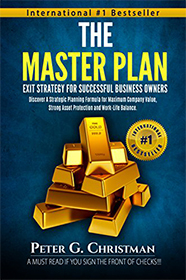 The Master Plan offers timeless wisdom, practical advice and enduring strategy to meet the needs and challenges of a new generation of business owner, who want to be prepared to exit their businesses. Every Family’s Business challenges the idea that successful family businesses must keep family issues and business issues separate. Tom believes this separation is impossible and that most family businesses are set up from the beginning to fail because they attempt it.